Prominent & Leading Manufacturer from Ghaziabad, we offer steel chains, steel table top chain with rubber top, self aligning bearing, thermoplastic table top chain, plate top gripper chain and plastic chain belt. 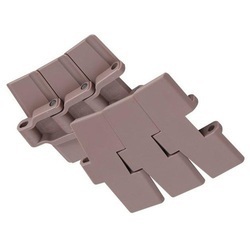 Straight run single hinge max-line 1"
Straight run double hinge max-line 1"
Sideflex single hinge max-line 1"
Magnetflex® double hinge max-line 1"
Self Aligning Bearing availables in different types and all with open and closed unit.Lubricated for life versions are also available. High mechanical and heat resistance.Proof to dust, humidity, washouts, stream, proof to high aggressive chemical agents. 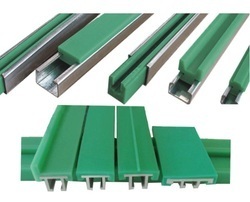 With the valuable support of adept team of experts, we are offering a wide range of high quality Thermoplastic Table Top Chain. 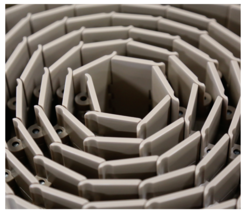 Our offered chain is tested on numerous parameters in order to deliver a defect free range. The given chain is manufactured by using finest quality material and modern techniques at our equipped manufacturing unit. 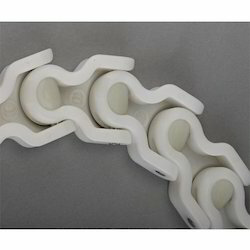 The offered chain is available in various specifications to choose from. 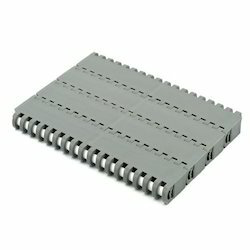 As a specialist in this domain, we offer our esteemed patrons a precision-engineered array of Plate Top Gripper Chain. 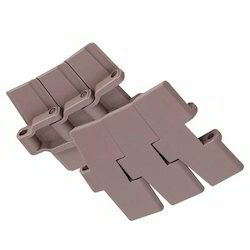 This gripper chain is manufactured by making use of high quality material and leading techniques keeping in mind the set norms of industry. 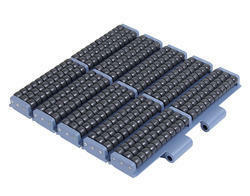 The offered gripper chain is available in various sizes and other related specifications as per the demand of customers. 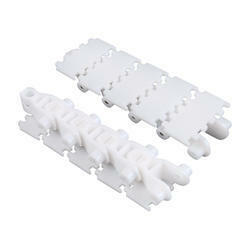 This gripper chain is well tested in terms of quality so as to dispatch a flawless range from side. As a specialist in this domain, we offer our esteemed patrons a precision-engineered array of Customized Plastic Table Top Chain Rubber Top. 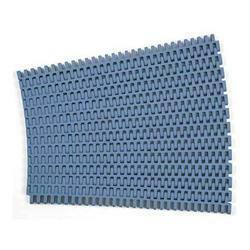 This product is manufactured by making use of high quality material and leading techniques keeping in mind the set norms of industry. 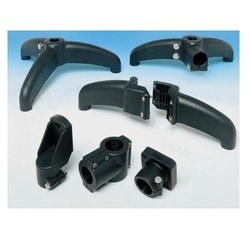 The offered product is available in various sizes and other related specifications as per the demand of customers. 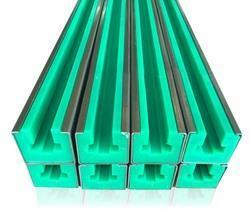 This product is well tested in terms of quality so as to dispatch a flawless range from side. Rexnord represents the most comprehensive portfolio of power transmission and conveying components in the world with the brands you know and trust. 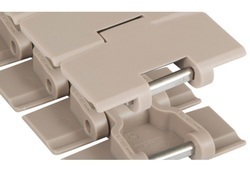 Chain-Guide Profiles available for all kinds of Table Top Chains and Modular Chains. Sprockets for Table Top Chain is a profiled wheel with teeth that meshes with chain, track or other perforated or indented material. It is distinguished from a gear in that sprockets are never meshed together directly and differ from a pulley in that sprockets have teeth and pulleys are smooth. With exact know-how of the relevant market, we are noted as the top most manufacturer, exporter, importer and supplier of Multiflex Chain. Our given chains are designed with the help of optimum quality material and advanced techniques in synchronization to set industrial norms. 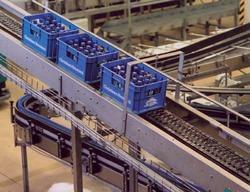 The given chains are used for conveying milk cartons in the dairy industry. 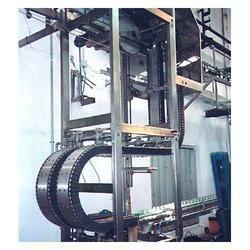 We are providing these chains in various specifications as per the requirements of customers. 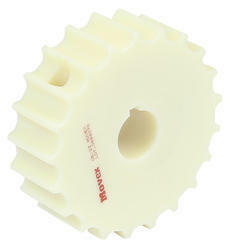 Sprocket of Multiflex Chain & Case Conveyor Chain is a profiled wheel with teeth that meshes with chain, track or other perforated or indented material. It is distinguished from a gear in that sprockets are never meshed together directly and differ from a pulley in that sprockets have teeth and pulleys are smooth. 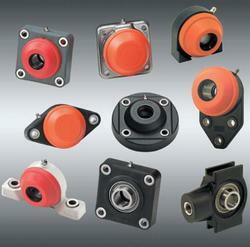 other components like, swivel head, spacer, square washer, spacer, t-clamp etc,. 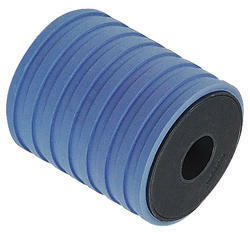 We are the leading manufacturer and supplier of Return Roller. 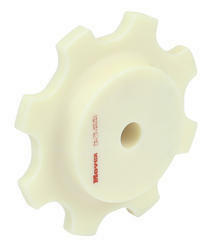 Available in single, double roller and with rubber surface. 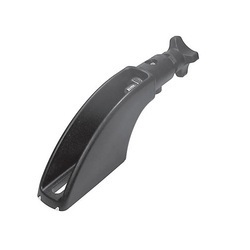 Support bases are available in three variants, bipod, tripod and tripod with a cross section hole piece. With a large variety of mattop modular belt mat top executions and materials age group got a conveying solution for virtually any application with the help of rexnord, especially in combination with the huge table top chain programme. the mcc brand has set a standard for modular conveyor belts in beverage industry and now the cleanable designs and specific accessories make several rexnord mat top series very suitable for food industry as well. mat top modular belts offer a reliable drive concept, using rexnords great experience in chain drive technology. 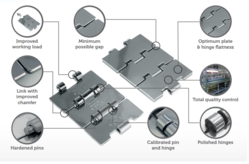 the design of bot belt and sprocket make a perfect combination meeting high standards for tooth and belt engagement, belt release from sprocket and allowable elongation. Looking for Movex Product Range ?